Welcome to our group sessions! 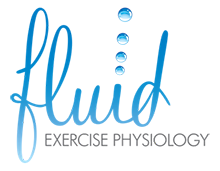 Let’s have a look at Fluid Classes – What to Expect. We are so excited that you have taken this next step forwards with your health and fitness. Our classes are individualised to suit each and every person’s needs and preferences. We have a variety of classes to choose from! This means that following your initial consult/s you will have a program designed just for you! When you attend the class, you can work independently and at your own pace. You can find out more information about our variety of classes in our timetable. We also run specialised courses such as the Bone Builders course. This course has separate costs and runs for a total of 10 weeks. When you purchase a 10 pack of group sessions you will receive a discounted one-hour review at our special price of $99 (saving $26). This is your perfect opportunity to upgrade your program! New programs can be printed once you have completed the 10 columns on your program. If you would like a program upgrade you need to book a one-on-one session with your Exercise Physiologist. Group sessions cater for 4-6 people (depending on location) and the Exercise Physiologist needs to be able to adequately attend to each individual every session. If you have any pressing concerns that affect your ability to exercise please book a one-on-one consult to avoid interruption of the class. These classes run continuously throughout the year even during school holidays (with some exceptions over the Christmas period). As the classes are limited in numbers, it is important to book in to each session and to cancel your booking if you are unable to attend. These can be done online at www.fluidep.com.au – look for the bookings tab. If you have a booking, you will be sent a reminder text the day prior to your class. There is no need to respond to this text message unless you are unable to attend. Failure to attend or provide sufficient notice without good cause will incur a cancellation fee that is not rebatable by private health. Please be considerate and provide as much notice as possible prior to cancelling an appointment. We love your constructive feedback about how we’re doing an awesome job, and what improvements we can make. Please feel free to send it to support@fluidep.com.au. Kelly and the Fluid EP Team!